These picks are ideal for soldering, glueing, positioning, adjusting, and retrieving small parts. 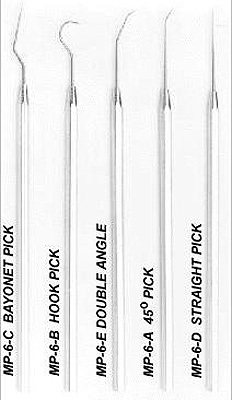 The needle tips are made of a high quality stainless steel and the set comes packaged in a zippered top vinyl pouch. Overall length 5 9/16"